It’s Your Case…Prepare to Work. Hiring a lawyer can be nerve-wracking. It can also be a relief. However, the hard work is not over, even when you hire the right one for you. I have heard the criticism more than a few times that “I hired that lawyer and I did ALL the work!” Well, yeah, there is a lot for a litigant to do. You, as the party to a case, have the answers, or at least access to the answers. Within a case, there are a lot of processes to follow. You have to answer written Interrogatories. These are questions the other side gets to ask that you have to answer under oath. These can easily be 30-40 pages, or more! The other side can request documents requiring you to pour over all of your prior tax records, bank records, credit card statements, pictures that you consider evidence, videos, diaries, notes, memos, texts…all of which takes a mountain of effort and time to gather. And, you have to do it. The other side can take your deposition, an under oath interview. You have to prepare for that. All of this legal jujitsu can result in a trial. You have to prepare for that. You have to know the facts of your case. You have to recall incidents and testify truthfully. You have to be specific. You have to know what you want and why. A good lawyer will know the process and all the steps, but you will still have to do some heavy lifting. Matthew Thompson is a Mississippi Divorce and Custody lawyer and cautions you that you will have a lot of work ahead of YOU to do your case right. These are almost always a disaster. They are a disaster for several reasons, but primarily because they are so often wrong, incomplete and inadequate. There is no uniform body of law in our country for Family Law. Each state has their own take on things, nuances and requirements. Most lawyers are not out just to get your money. They want to help, usually. They want to be paid for their experience, expertise and specialized education. Are there some duds? Yes. But, if you spend a few minutes researching, ask a trusted friend or other professional, you can usually get aimed in the right direction. It may cost a little more on the front end, but long term having it done right is worth it. 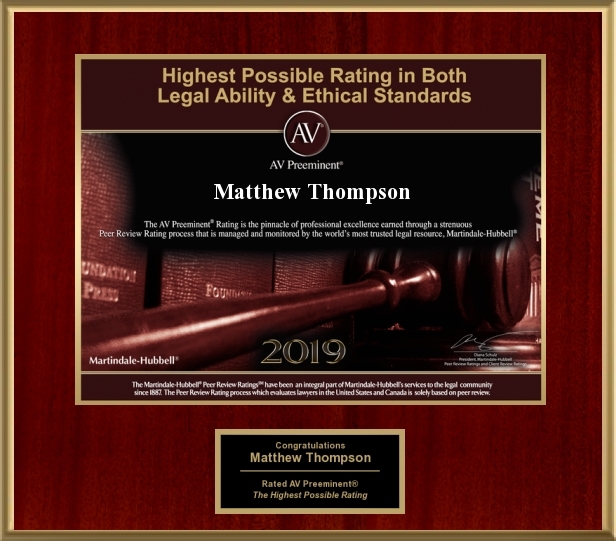 Matthew Thompson is a family law attorney in Mississippi and hires a lawyer when he needs one too.